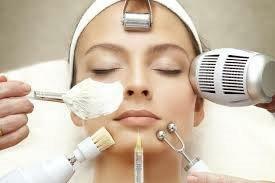 Facials are skin treatments we tailor for individual needs. Our treatments use potent ingredients and techniques to effectively remove impurities, unblock clogged pores and help your skin to function better. We can add a peel, LED Light Therapy, combine with laser treatments and advise on appropriate home care program. For a Comprehensive consultation to discuss solutions to achieve excellent health and looks, call us today on 92333399 to book an appointment.